St. Vincent and the Grenadines and Barbados are two different nations despite having serious historical bonds. These bonds go beyond Vincentians having to use Barbados’ Grantley Adams International Airport over the years as a main transit point for extra-regional travel. They also go beyond the fact that persons from both countries have successfully sought employment within each others borders and have family ties (a considerable number of persons in the Dorsetshire Hill Community are said to have come from Barbados, originally). They even go beyond the fact that then Barbados Prime Minister, Tom Adams, helped St. Vincent’s Prime Minister, the late Robert Milton Cato, to curb the December 8, 1979 Union Island uprising by sending 50 police to keep the peace on the mainland, while local police were dispatched in the Grenadines – The Washington Post. Though the ethe of both people are different, the bond is deep and this is so even for tourism purposes, where yachting companies in Barbados over the years have been offering charters to the Grenadines. Even amidst this, it must be made clear, especially for those who are just getting to know the Caribbean region or planning a visit, that there is no ‘Barbados & the Grenadines’, as marketed by some entities. The Grenadines comprise of an archipelago of Islands and Cays which have been known to have some of the most beautiful sailing waters in the world. The Islands form part of the multi-island, nation-state of St. Vincent & the Grenadines, where St. Vincent, the largest, is the mainland. As such, business entities and initiatives which market The Grenadines as if they were socially, culturally, economically or politically independent of, or separate from mainland St. Vincent (in any form or fashion) are into false and misleading marketing and advertising. The concept of Barbados and the Grenadines may have come about partly, as a result of difficulty to access St. Vincent as a destination by air. Many visitors by air from Europe and North America have had to pass through Barbados to get to St. Vincent in the absence of direct air travel. Today, however, those from North America who wish to get to Mainland St. Vincent for hiking and adventure and to the Grenadines to experience some of the most beautiful sailing waters in the world can now come directly through St. Vincent. This is so with the 2017 opening of the Argyle International Airport where non-stop flights can now be taken from Toronto, Canada and JFK, New York, as well as Miami, Florida to St. Vincent. The window, however, will always remain open for St. Vincent’s neighbours to arrange tours, cruises and excursions to The Grenadines, as has been the case for many years. The efforts, however, by some to market businesses and initiatives in other countries as if they were part of the Grenadines must be eschewed, as St. Vincent and the Grenadines is one independent and sovereign state. NB: The sole purpose of this article is to correct the marketing myth used over the years by some, as it surrounds the Grenadines. 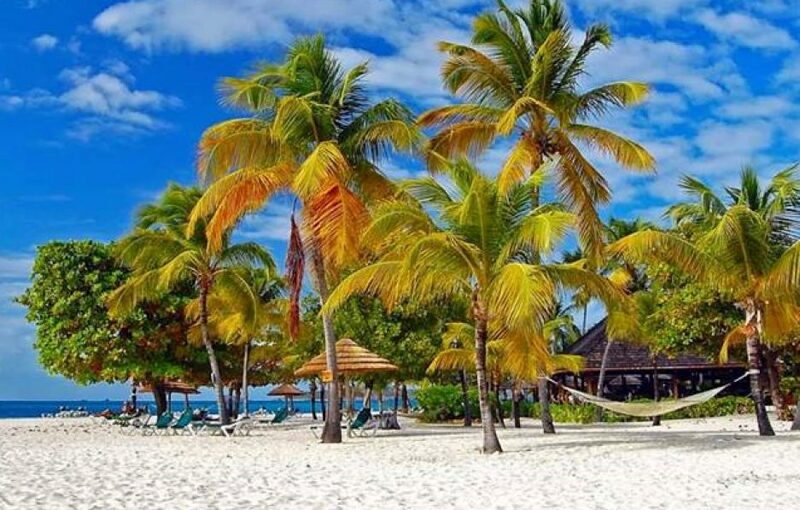 St. Vincent & the Grenadines, as a nation, loves its neighbors, promotes regional tourism and encourage persons outside the Caribbean to explore the warmth of the people and the natural beauty of the Caribbean. I will never know where people get Barbados and the Grenadines from they want to steal our beautiful little Islands. They will always be SVG in the name of Jesus.